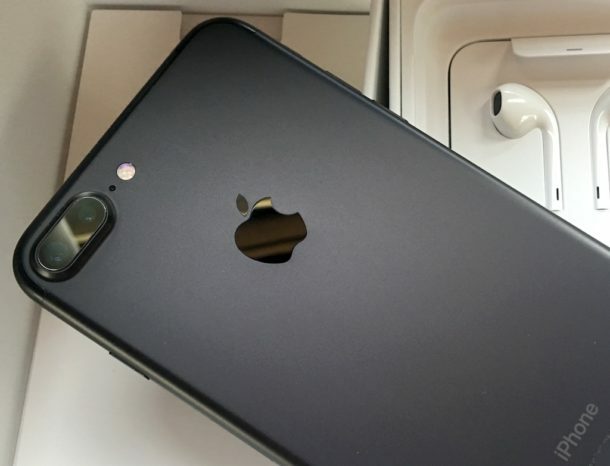 This is broken into two primary sections for a successful transfer and migration; backing up your data from the old iPhone, and then setting up and migrating that backed up saved data to the new iPhone 7 or iPhone 7 Plus so that everything comes with you to the new device. It’s a pretty easy process as you will see, let’s get to it. so you have to go to File> devices> choose your Device Name then transfer Purchases from this iPhone and you are good to go. Everything transferred from my 6 to my 7, except my apps and how they were arranged on my home screen because the lady at Verizon hit the wrong button when setting up my phone and now I’ve lost them and want to cry. Can you help with this? I want to transfer messages only to my new iPhone 7 without anything else restored. Anybody knows how? Help please! I just googled one app named AnyTrans and tried right now, so far so good. I have the latest iTunes and can’t sinc the iPhone 7 – Anyone else with that problem? I’ve discarded iTunes for quite a long time. Different kinds of problems occur from time to time. Now, I use a third-party tool as a replacement. It’s much easier and powerful than iTunes in terms of file transfer. I’ve transferred my important data from old iPhone to my iPhone 7 successfully with it. While this article is generally accurate the reality is that the standard backup and restore facilities discussed DO NOT backup and restore everything. As an example, the Mail App and its corresponding folders and email messages are not backed up and restored. That is how you backup an iPhone, you use iCloud or iTunes (encrypted). What other option is there? There is no other way to backup an iPhone and then restore it a new device. I know a lot of people set up their devices as new, that’s an option too. I would do that myself if there was an easy way to migrate photos over since that is all I really care about on the iPhone. Yes, you can, with Google Photos. How about if I use iTunes to take backup of my old 6s, and restore it on 7? I don’t want to lose the Messages, and bookmarks I have saved on my iPhone. iTunes works, unfortunately it´s limited to do certain things. If you want to keep your messages and other stuff important for you, then I recommend iMazing software (great for the backups you want to do). With the above notes about messages, using iCloud backup in particular works perfectly. I’ve done this to bring everything from my iPod to my 1st iPhone and to my present iPhone. To me, it’s more important to have all my Contacts and Calendar than anything else. If I have a new iphone 7 that I have been using the last week or two before being able to restore from a backup of my old iphone 5, if I do so now will I lose the new content that I’ve created on the new phone such as new pictures and videos taken directly on the iphone 7 as well as any notes or contacts that have been added? I have done this and everything transferred – EXCEPT my phone number. So, I cannot make calls or get texts… And I cannot update “My Number”. Anyone know why my phone number is not connected, even though all the apps, mail, etc. are working? If same iOS operating system is required for both devices then how do I transfer from iPhone 4s which doesn’t support iOS 10? The latest version update to iPhone 4s is 9.3.5. The iPhone 7 comes with iOS 10. Can I downgrade the 7 to iOS 9.3.5? and then upgrade to 10 once all is transferred?? Or what do I do?? OR I can buy a in between iPhone like the 5 or 6 which still got the iOS 9.3.5 and transfer to that phone and then upgrade to iOS 10 and only then I can transfer to the 7. Any other options? I have a new iPhone 7 and before I can migrate my apps and data I have to do a software update, because the software on my iPhone 6s is 10.2.1 and the iPhone 7 is 10.1. Is there any other way to do the update other than over the air, is IPSW doable? I just purchased a 7plus. I backed up my iPhone6 on iTunes and everything goes well until I started to restore my backup on my new phone. It said that there was something wrong because the file is corrupted and all that, so I backed up my old phone again and restored it again on the new phone. It no longer showed that it was a new phone. I had a hard time restoring my files on the new phone. Now that I have successfully restored the backup on my new phone, I am now encountering problems with the apps. They are re-downloading again… I have not experienced this before since on my previous phone, they just appear right after restoring the files. I really need an answer… Please help me. 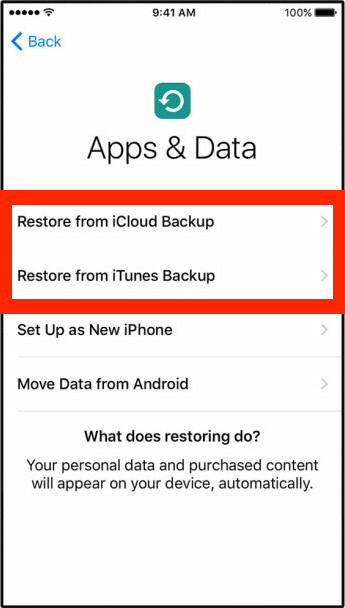 Yes, after you restore from iCloud or iTunes, it will download all your apps since the actual apps are not included in the backup. This actually makes the backup and restore process faster. The procedure doesn’t work. I tried several times, but my old apps don’t migrate to the new iPhone. Im using iphone 7plus, when i download few apps i could not play or use it using my data, can only use it with wifi. Anybody knows how to access my apps with my data? Thanks! « Yellow Screen on iPhone 7? Here’s the Fix!